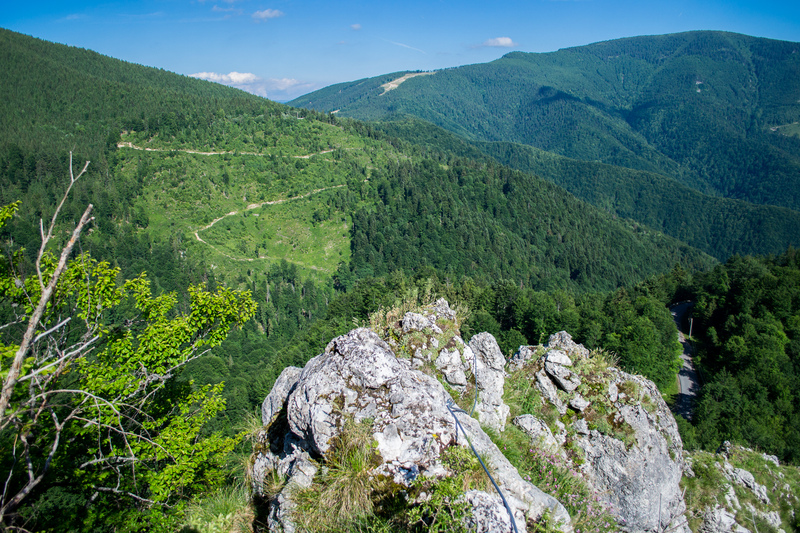 The via ferrata route near Vartop-Arieseni was opened in 2014, on the Pietrele Negre (Black Stones) rock, in Apuseni Mountains. 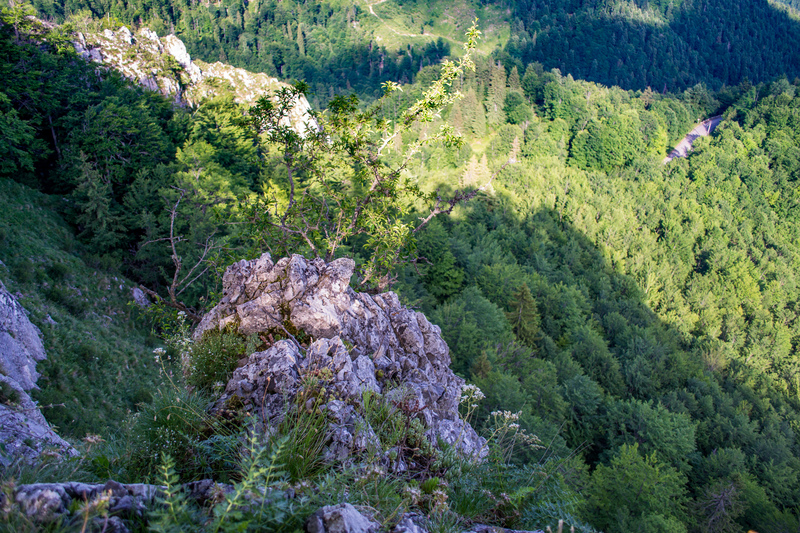 The route was built by Salvamont Salvaspeo Bihor, the Romanian mountain rescue unit from Bihor county. Acces: On the road (DJ75) between Băița and Vârtop (DJ75), at 5km before Vartop and 12km before Baita, you will notice a rock formation known as Pietrele Negre, meaning Black Rocks. An electricity pole at GPS 46°30’59.0″N 22°37’57.6″E or 46.516389,22.632667, has a Red Cross hiking mark on it. This is where the access route begins. You will park the car alongside the road – there are several spots near this location. 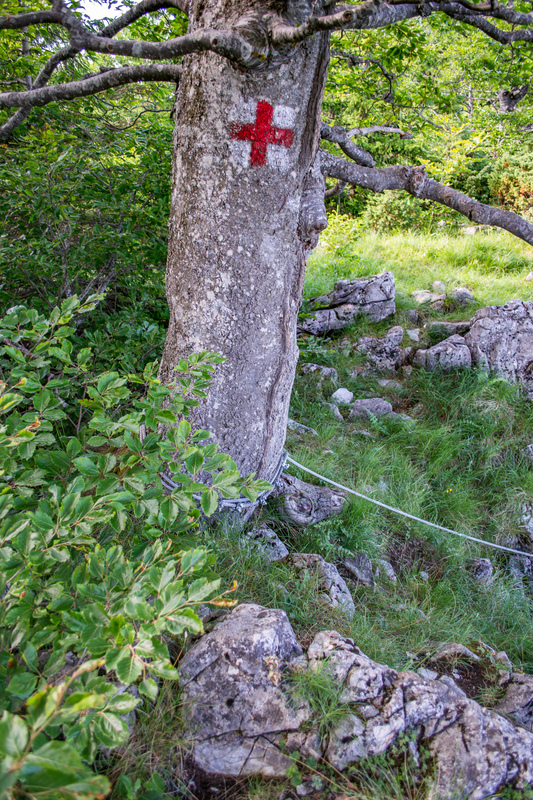 You follow the trail marked with a red cross for a very short time. The trail turns left, but you must go right, towards the base of the rock. 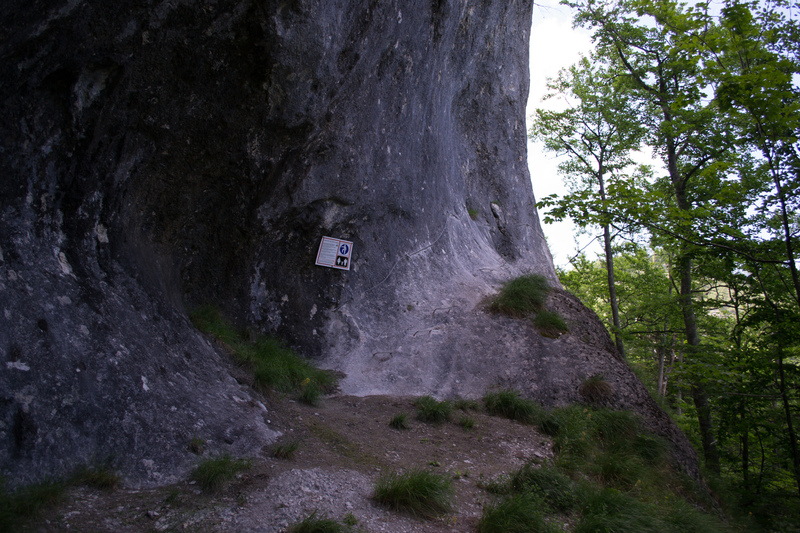 The crossing is marked with a via ferrata sign. 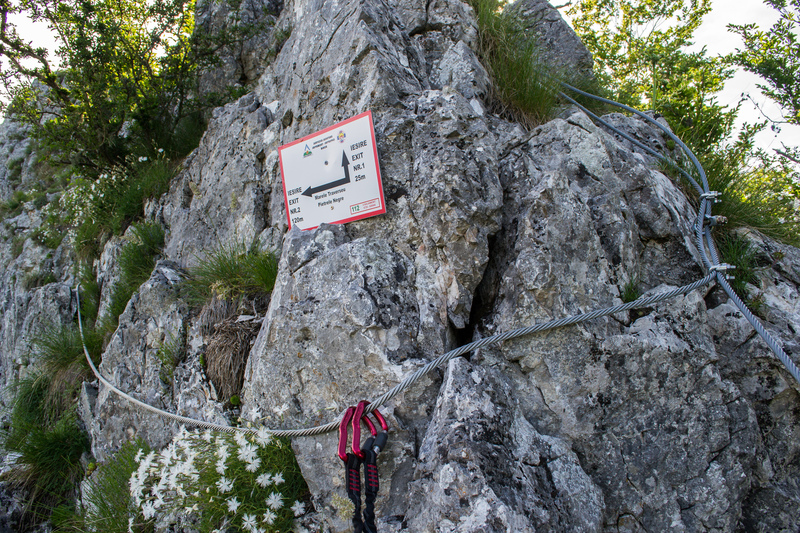 The start of the via ferrata cable is at GPS 46°31’00.1″N 22°37’54.0″E or 46.516694,22.631667. 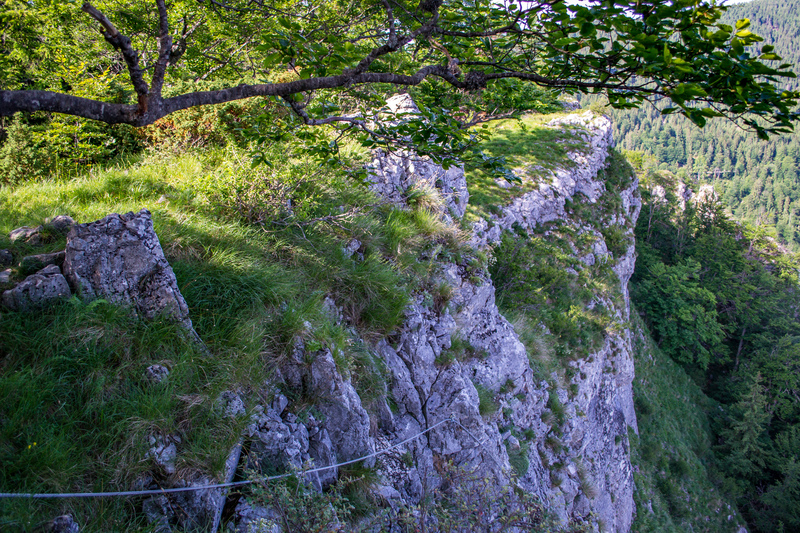 Length of via ferrata route: 200m. Vertical climb: 100m. The first half of the route is easier, with frequent metal staples. At top, the route splits in two. The easier option goes up for another 25m and reaches the ridge. The other option, medium as difficulty and not recommended for beginners unaccompanied by experienced persons, continues on the left with Marele Traverseu Pietrele Negre (the Black Rocks’ Big Crossing) of 120m length, at the end of which you come across the most difficult part of the route: a 3-4 meters of vertical climb, where you’ll need to use more power in your arms. 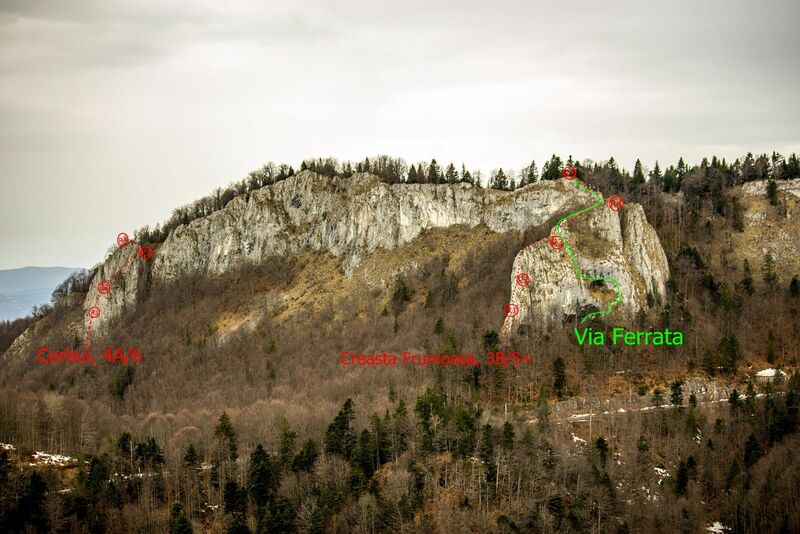 Duration for the via ferrata route: 1 hour. Return trail: From the ridge, head right for about 50 meters until you come to a steep gully, which you can use to get down, through the woods. This is the fastest option but the terrain is rough, so you should consider the second option: instead of right, head left following the ridge and the hiking trail marked with a red cross. The view is worth it and it won’t take you longer than 45 minutes to reach the starting point. Wheater: Meteoblue Vartop, Viewweather Arieseni. Emergency calls: +40.SALVAMONT, which is actually +40.725.826.668, or 112, the European all around emergency number. GPS coordinates for localization: 46°31’00.1″N 22°37’54.0″E or 46.516694,22.631667.